In stock -This product will ship today if ordered within the next 14 hours and 20 minutes. MicroCell NutriGuard Plus provides a broad range of antioxidant nutrients to help support health and well-being. It contains a source of naturally occuring carotenoids such as lycopene, the red pigment derived from tomatoes and beta carotene, found in coloured fruits and vegetables, as well as vitamins A, C, E, zinc, selenium, and alpha lipoic acid. It also contains olive oil to potentiate the absorption of lycopene and beta carotene. MicroCell NutriGuard Plus is micellised by the unique MicroCell process to enhance absorption and improve bioavailability. NutriGuard Plus may be used as a general antioxidant or to provide specific support to the immune system, cardiovascular system, or to the skin and other tissues. Vitamin C (as Ascorbic Acid), Capsule Shell (hypromellose), Vitamin E (as D-Alpha Tocopheryl Acetate), Silicon Dioxide, Alpha Lipoic Acid, Modified Tapioca Starch, Soya Oil, Olive Oil, Anti-Caking Agents (Silicon Dioxide & Magnesium Stearate), Beta Carotene, Acacia Gum, Lycopene, Vitamin A (as Retinyl Palmitate), Antioxidants (Natural Mixed Tocopherols, Ascorbic Acid & Ascorbyl Palmitate), Antioxidants (Natural Mixed Tocopherols, Ascorbic Acid & Ascorbyl Palmitate), Sodium Selenite, Sunflower Oil. If you are under medical super vision please consult a doctor before use. 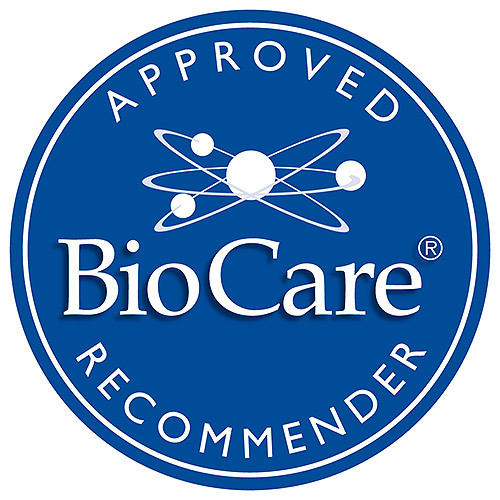 Below are reviews of MicroCell NutriGuard Plus - 30 Vegicaps by bodykind customers. If you have tried this product we'd love to hear what you think so please leave a review. 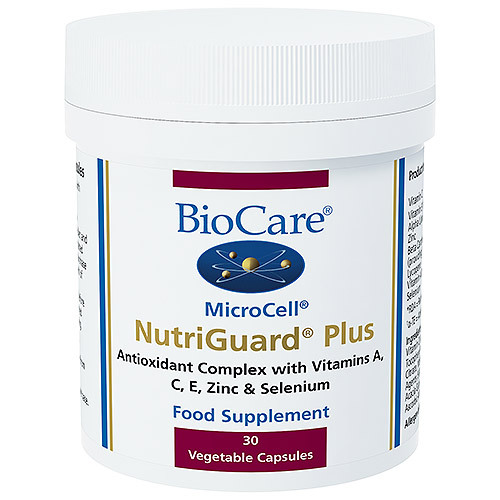 MicroCell NutriGuard Plus provides a broad range of antioxidant nutrients to help support health and well-being and help the maintenance of healthy tissues and cells.